Ram pickup trucks have taken the automotive world by storm since they were first created, and the 2019 Ram 1500 continues to push the envelope when it comes to pickup trucks. The 2019 Ram 1500 gives you towing and hauling capability, along with a smooth ride that is delivered through a unique coil-spring rear suspension. This truck also is available in many trim levels that will get you either a work focused truck or one that maybe has luxury in mind. Another perk of the 2019 model of the Ram 1500 is that it has shed weight, meaning that it is more aerodynamic, and therefore more economical than ever before. 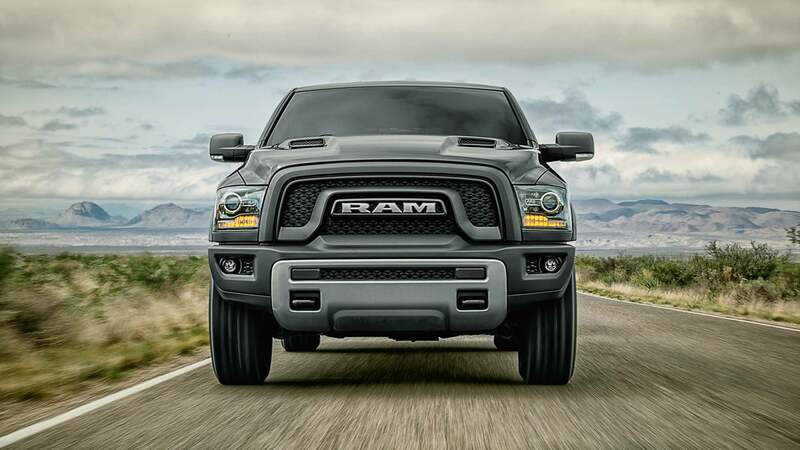 To learn more about the Ram 1500, continue reading down below, especially as we check out the engine options, the trim levels, and even the safety features! What engine comes standard with the 2019 Ram 1500? There are two engines that you can find with the 2019 Ram 1500. 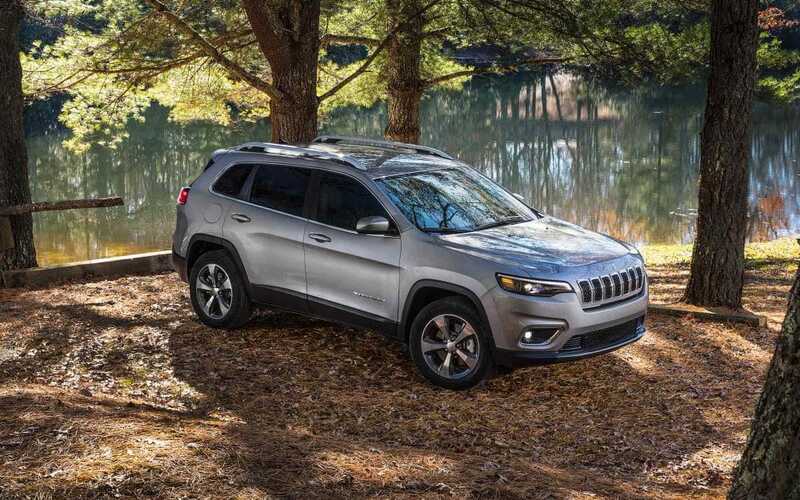 The standard engine with every trim is a 3.6-liter V6, which produces 269 pound-feet of torque and 305 horsepower. There is also an optional engine, a 5.7-liter V8, which can pump out 410 pound-feet of torque and 395 horsepower. Both of these engines work in tandem with an eight-speed automatic transmission. The drivetrain that comes standard is rear-wheel drive, however, you can get four-wheel drive if that's more your speed. The Ram 1500 isn't just a highly capable pickup truck that offers comfort and technology. This truck also comes with over 100 standard and available safety features. Some of the most impressive available features include blind-spot monitoring with rear cross path and trailer detection, lane departure warning-plus, Adaptive Cruise Control with Stop and Go, Forward Collision Warning with Advanced Brake Assist, Parallel and Perpendicular Park Assist, and a 360-degree Surround View Camera. What trim levels come with the 2019 Ram 1500? The Ram 1500 comes in many different configurations, including cab options, bed length, and of course, trim levels. There are 6 model options offered with the 2019 Ram 1500. The base trim, known as the Tradesman, is the workhorse of the lineup. It comes standard with an auxiliary audio jack, 18-inch steel wheels, dual USB inputs, vinyl flooring and upholstery, a 6-speaker audio system, a Uconnect infotainment system, a 5-inch touchscreen, a 5-inch touchscreen display, Bluetooth, automatic headlights, rear-seat USB charge ports, a locking tailgate, a rearview camera, a Class III hitch receiver, air conditioning, trailer sway control, a 40/20/40-split folding bench seat, heated side mirrors, cruise control, and push-button ignition. Another trim, which is perfect for off-roading, is called the Rebel. This trim comes with satellite radio, specialized off-road tires, a larger driver information display, front tow hooks, front bucket seats, skid plates, a power-adjustable driver seat, fortified shocks and suspension, a 115-volt power outlet, an electronic-locking rear axle, LED headlights and foglights, a 3.92 axle ratio, a Class IV hitch receiver, and hill descent control. Another option, which is incredibly luxurious, comes with a CD player, a navigation system, 20-inch wheels, a leather-wrapped wood steering wheel, a spray-in bed liner, heated and ventilated reclining rear seats, chrome side steps, leather upholstery, power tailgate release, front bucket seats, automatic high beams, and automatic wipers. If you want a pickup truck that can do it all, then you need the 2019 Ram 1500. Contact us today to learn more about this truck, we'd be happy to help!